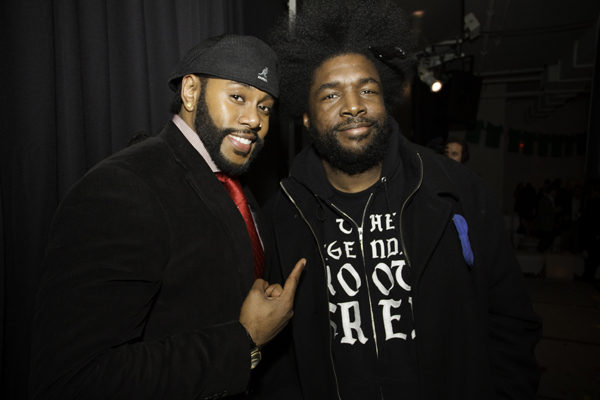 DJUSA Highlights "The Peace Market Gala" at Metropolitan Pavilion by Seeds of Peace featuring Chromeo, Questlove, Miss USA, Miss Universe & More! Seeds of Peace inspires and equips new generations of leaders from regions of conflict with the relationships, understanding, and skills needed to advance lasting peace. 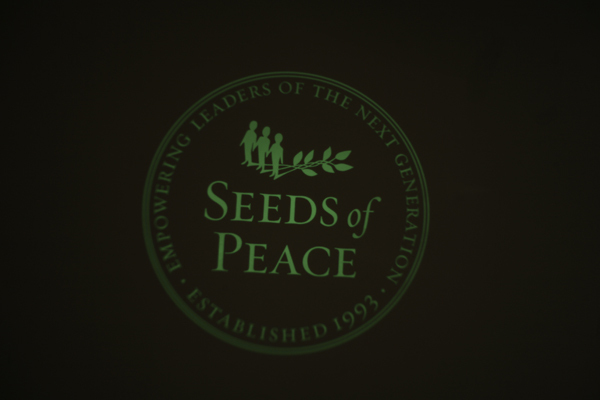 Every year Seeds of Peace hosts an event to raise significant funding to bring together children from vastly different backgrounds and its attended by over a thousand guests. This year, “The Peace Market Gala” was held at the Metropolitan Paviliion on Wednesday, March 13 and attendees included Miss Universe and Miss USA, but the entertainment was key. 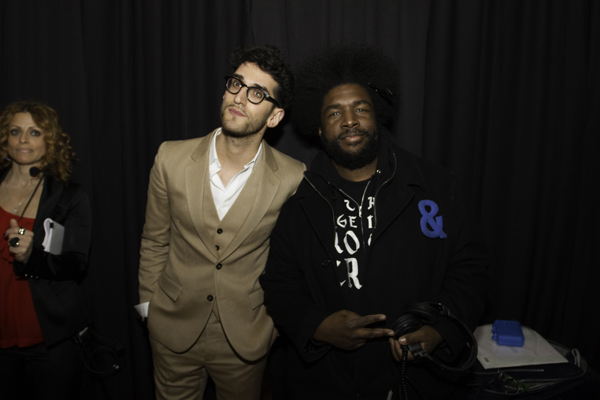 Dave 1 of Chromeo rocked the party before Questlove took over the turntables. 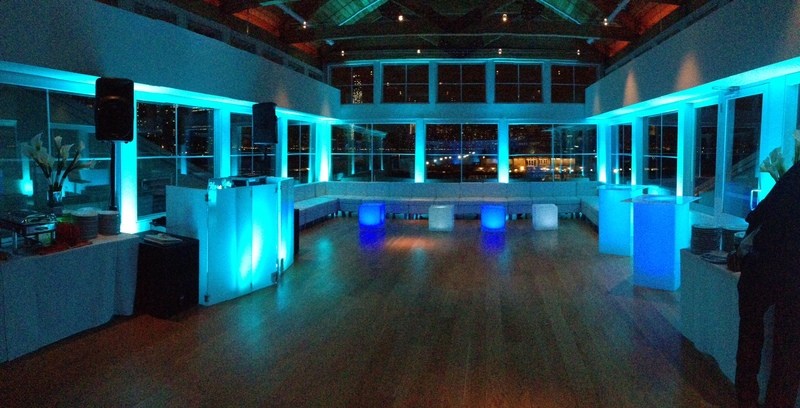 DJUSA provided full production, including LED bars, lounge furniture, DJ rider, modern lighting design and more! Click on the pictures below to view the gallery from this year's event! 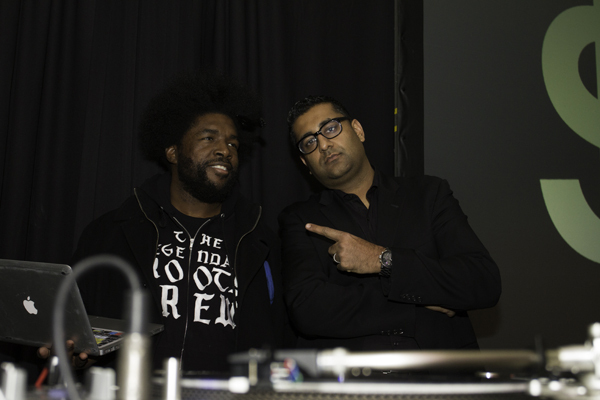 Left: Dave 1 of Chromeo and Questlove; Right (top to bottom): Seed of Peace custom gobo; DJUSA's DJ Sharad with Questlove; DJUSA's MC Marco Glorious with Questlove. 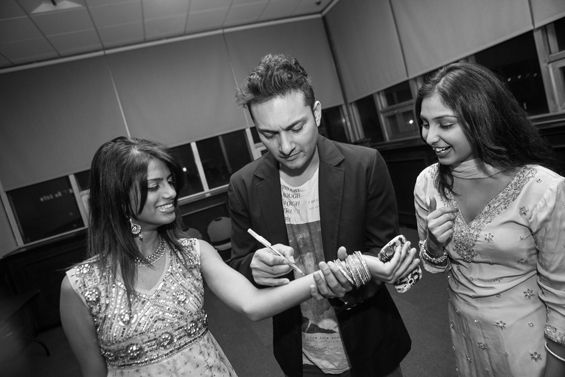 DJUSA Gets Fancy at Queens College with Singer Raghav! The South Asian Student Association (SASA) hosted their annual formal at the Student Union Ballroom on Thursday, March 14. It may have been the best one ever held by SASA! 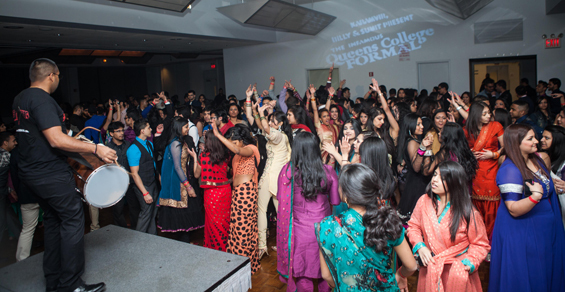 This year’s QC Desi Formal was known as the party of the semester attended by over six hundred guests. Throughout the night, there were several dance performances and to top off the night was a special performance by Canada’s sensation, Raghav who sang popular hits like “Can’t Get Enough.” DJUSA came through with full sound production and DJ Juicy from the team was there to represent on the turntables. Top Left: DJ Clark Kent with DMC of Run DMC; Bottom Left: DJ Mo Beats; Right (top to bottom): Adidas step and repeat; DJ Clark Kent with DJ Scoop; DJ Clark Kent using DJUSA's DJ rider and custom front board; Adidas floor decal. DJUSA Rocks a 3 Day Destination Wedding in NJ! 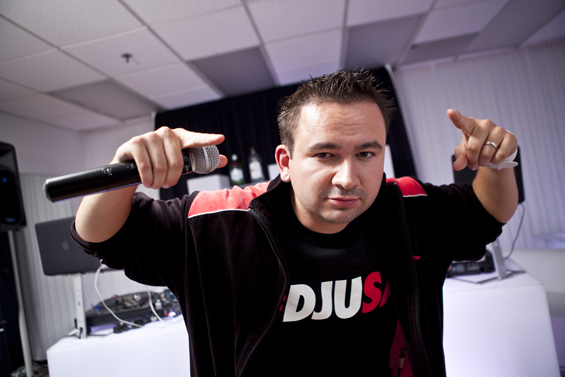 DJUSA has been providing sound production for the South Asian market for over a decade! 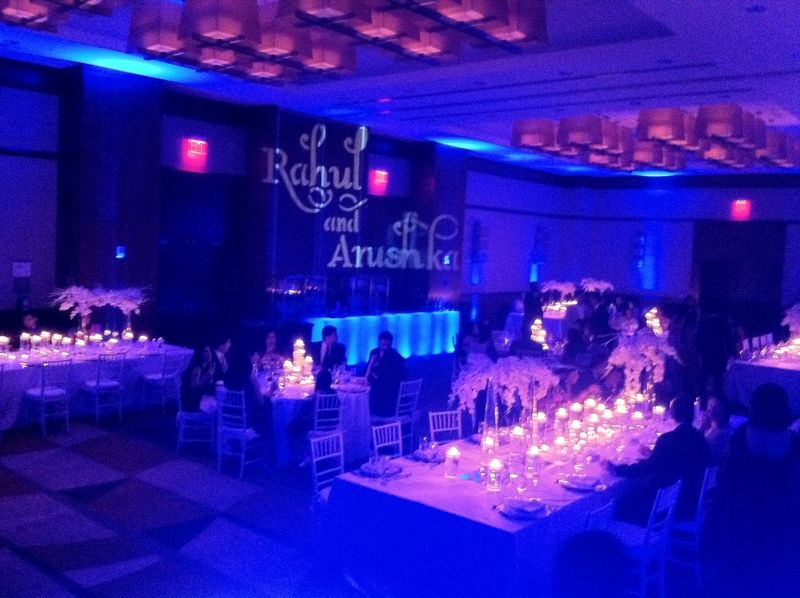 Most recently, DJUSA rocked a 3 day Destination Wedding at Maritime Parc and the Westin Jersey City. The families held all their events including the pre-ceremony events, sangeet, wedding, and reception all in two convenient locations because both sides were from overseas. DJUSA was there to make it a memorable weekend for the families with a full suite of services including lounge décor and state of the art sound systems. DJUSA's team worked around the clock the entire weekend at the Westin and Maritime Parc to ensure that every detail for the event production was not overlooked. Check out the exclusive pics! 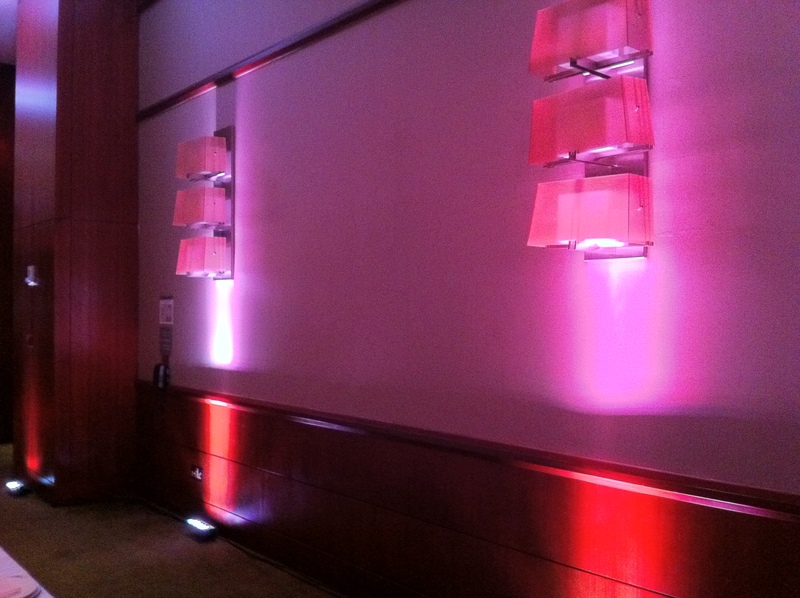 Left: custom gobo at Westin Jersey City; Right (top to bottom): Maritime Parc exterior; Maritime Parc exterior; uplights at the Westin Jersey City. DJUSA Photo Booths at All Events! Some people may think DJUSA only provides sound and lighting production, but we do much more! 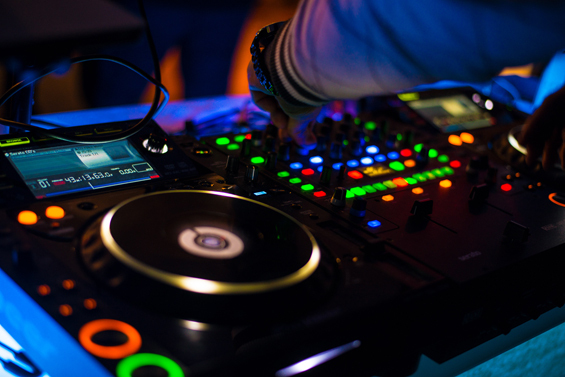 Through DJUSA and our affiliates including SM Event Group, we provide end-to-end event production to meet any client's needs. A recent trend we've seen at private events is Photo Booths, and DJUSA is here to provide them! 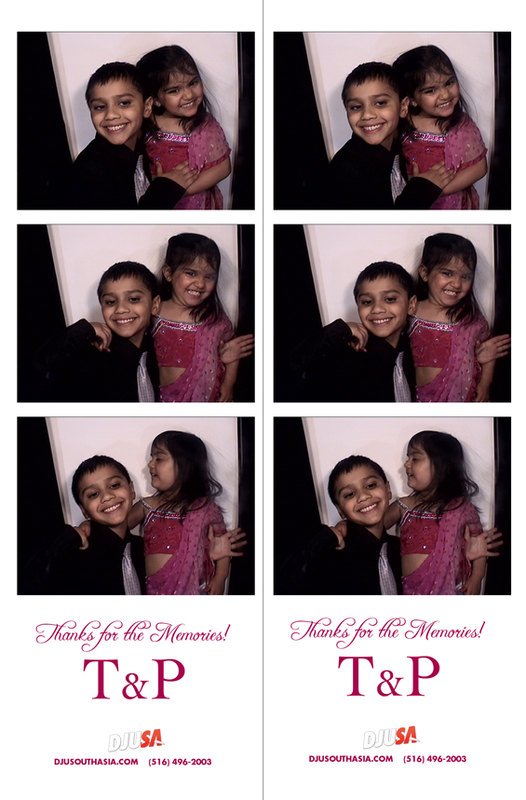 Our photo booth rentals make events more interactive for guests. Renting one of our photo booths helps guests make memories that will stand the test of time. 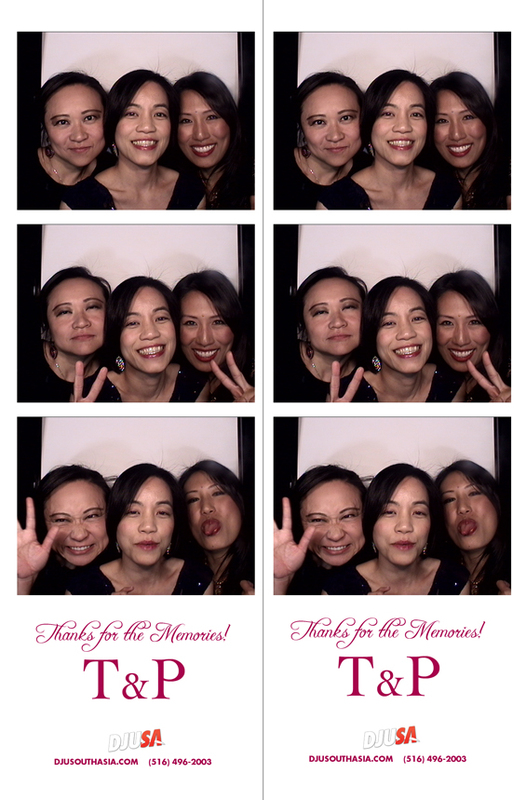 Guests print the photo strips in the booth and helps them to remember and share stories of your event for years to come. 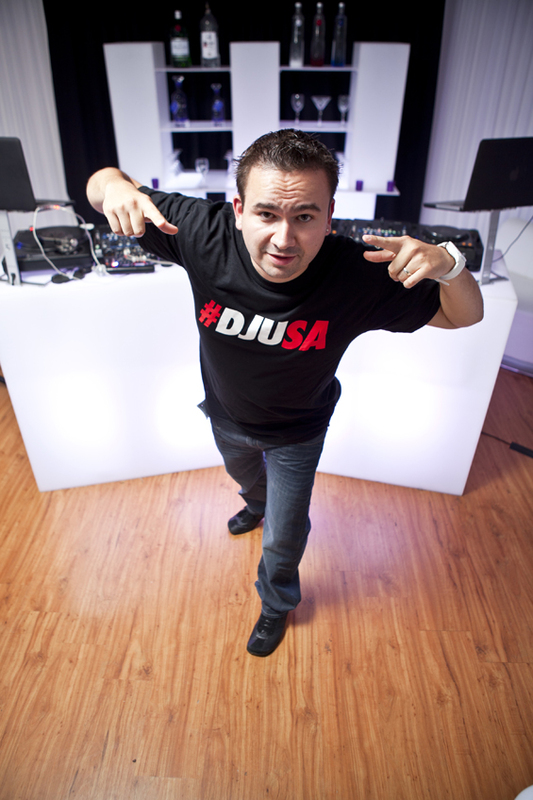 Next time you're at an event with DJUSA, check out our photo booth! 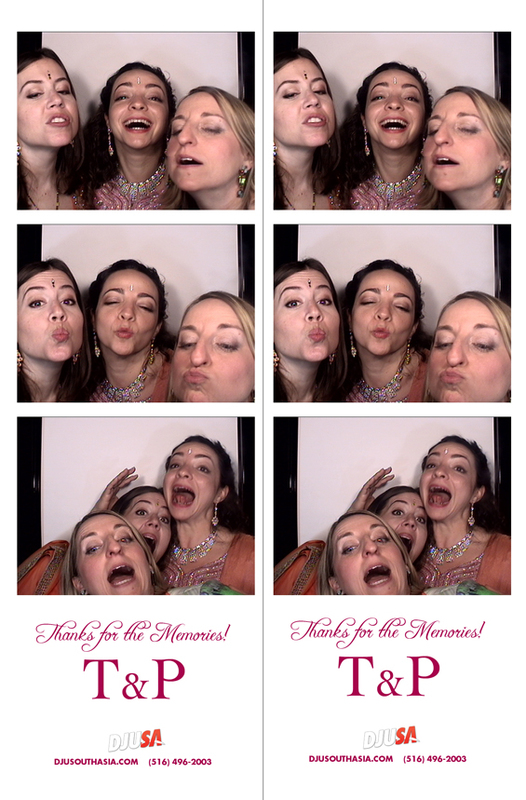 Check out recent pictures of guests using DJUSA photo booths! MC Max has been entertaining and making people enjoy life for nearly half his own. Born and raised in the epicenter of cultural diversity, he has mastered the ability to adapt to any event, any tradition, any place, anytime. He is a natural, with sincere passion and dedication for every event. He's hosted and rocked successful events for thousands, at venues in Chicago, Atlanta, Virginia, New York, Miami, Texas, St. Thomas and more! 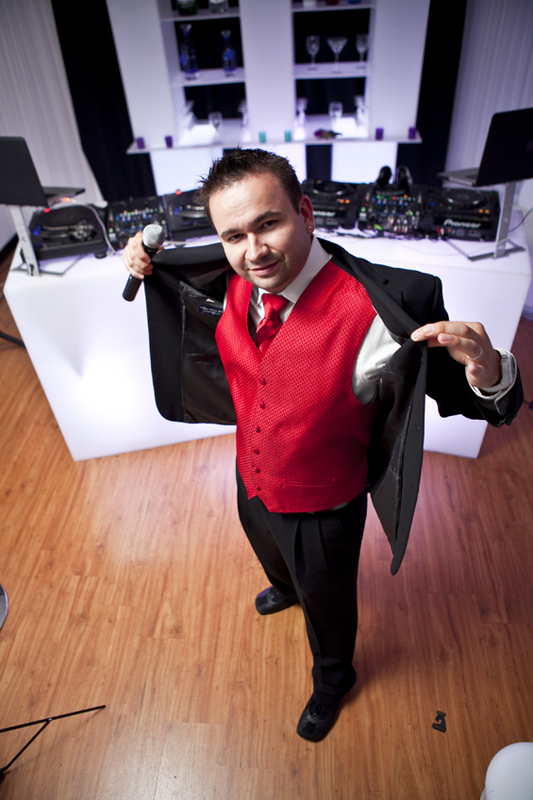 MC Max knows what to do in any situation and will transform your event into a masterpiece. I have been around music most of my life, my earliest memories include falling asleep as a kid listening to the radio, in high school I started off as a DJ but didn't step into the industry until 1999. Before starting my freshman year at Stonybrook, a high school friend knew that DJU (parent company of DJUSA) was hiring and I interviewed for a DJ position. At the time, all my music collection was vinyl and the DJ industry was changing to CDs. As I started to build my CD collection, DJU offered me a position as a roadie. So you started as a roadie. Tell us about your growth over the years and how you chose to become an Event Host. Yes! This is true, I guess Drake says it best "started from the bottom, now we here.” I began working as a roadie doing all the dirty work from super early warehouse call times to extremely late finish times. Although that experience may not have always been pleasant to go through it has kept me humble. It has given me a unique perspective on all that goes into making the magic happen. A lot of hard work, planning and dedication goes into every event. I quickly became a light and video technician shortly after about a year as a roadie. Once that happened I was no longer in the back, I was part of the action and next to some wonderful and talented DJs and MCs. From then on it was only a matter of time I think about 10 parties in that I touched the microphone, and the rest is history. I always knew I had more that I wanted to offer for each event; I really believe that a good MC can make any situation a positive, I remember rocking block parties and 30 person events early on before I jumped into major celebrations. It's a lot easier to rock 300+ people than 30! So if you can rock a 30 person party a 300+ person party is magical! 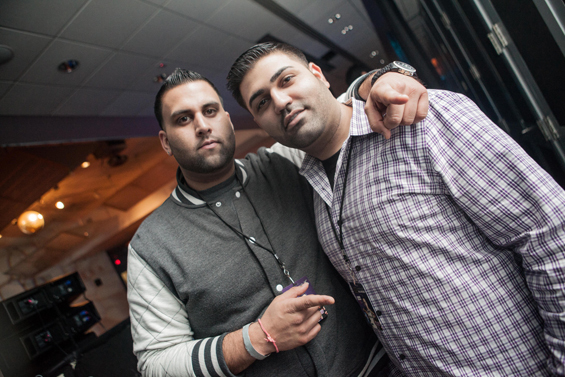 You were the first non-Indian Event Host to appear at South Asian events. Tell us more about your experience of working at South Asian events. Wow, I can't believe how much time has past since my first South Asian event! Even though many years have gone by it feels like it was yesterday. Transitioning to South Asian events was definitely an adventure, I remember taking all the culture in on my first event and I was just blown away with how grand an event can be! The stage was set and was just asking for a fusion of our cultures and style. I really feel that transitioning to South Asian Events was a blessing. The amount of love and embrace that I felt was addicting. There are very few feelings like that in life, center stage with hundreds, sometimes thousands feeding off of your every vibe sets the tone for something really magical. I have met some really amazing people and I really feel that's one of the reasons I'm still enjoying the game so much. Every time I step out in the spotlight no matter how many shows I have rocked I have never lost that feeling...the adrenaline and excitement makes each time feel like the first! How do you think DJUSA has changed over time? I wouldn't use the word change, because the core fundamentals have remained strong and that's "client first, always" but I will say that DJUSA has evolved. We have evolved into a well-known and respected force in the industry. Where else can you find a group of employees ranging from radio super star DJs to TV personalities all with one "genuine" common goal? Maybe independently, but not together and I can honestly say everyone has remained humble and appreciative. One big family. You won't find that anywhere easily. You used DJUSA for your own wedding. Tell us more about it and why did you select DJUSA? Yes, of course I used DJUSA for my wedding. Why you ask? That's simple I wouldn't trust anyone else on my event. You only have one chance to make that day perfect... Why take a chance going any other route? Magic can't be taught it comes natural here at DJUSA. So we hear you're having a baby now. How does that impact your full-time job as well as working the weekends as an MC? God has blessed me with some amazing news! My wife Christina and I are overjoyed. Soon there will be a young MC in training!! It's an crazy feeling to bring new life into this world and to be quite honest I know I will want to be there for him and my wife, but MCing is a part of me and has made me who I am, it has allowed me to have a different perspective on life and I have no plans on stopping. But being that we are starting a family I will need to juggle my time and free time will be precious! So Book me now, and please make sure its far in advance! PS: There's a reason why I say "Yes" so much at all my events... because there's nothing that can't be accomplished! Positive brings positive Lets Get It!! 2013!! 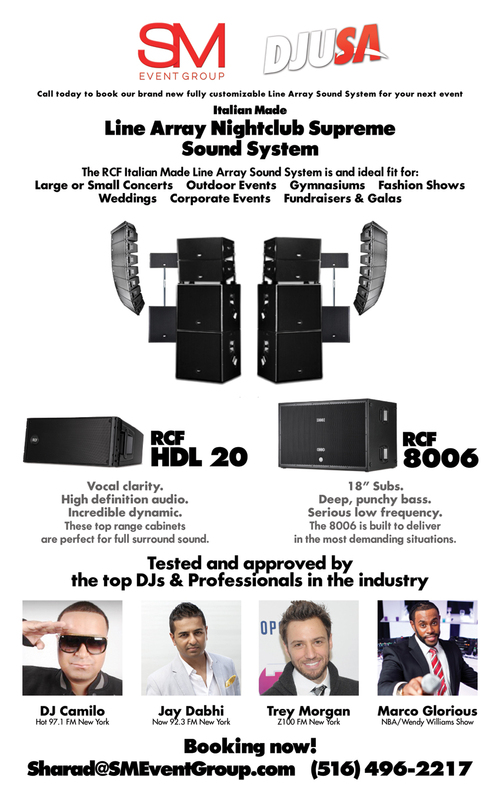 Call today to book our brand new fully customizable Line Array Sound System for your next event!